A race-ready Tesla Model S was put through its paces at the Autosport International Show. It’s set to contest in the Electric GT Championship (EGT), the world’s first 100% zero-emissions GT championship. The annual pre-season motorsport show at Birmingham’s NEC Arena gave prominent billing to the EGT Championship’s Tesla Model S in the Live Action Arena, where it became the first electric-powered race car to participate. The special Tesla Model S - known as ‘EGT Car V1.3’ - will hit 62mph in 3.2 seconds and features carbon fibre body panels, a ‘high performance’ rear drive, front splitter and large rear wing for improved cornering, uprated braking and offers 600 Nm of torque. 2011 LMP2 Le Mans 24 Hours winner and EGT Drivers’ Club’s newest member Olivier Lombard was at the wheel of the Model S in Thursday’s performance, giving fans a taster of what they can expect from the 778 bhp (585kW) electric motor. “Driving the EGT Model S was a lot of fun and it’s awesome to see what the future of GT racing looks like,” said Lombard. 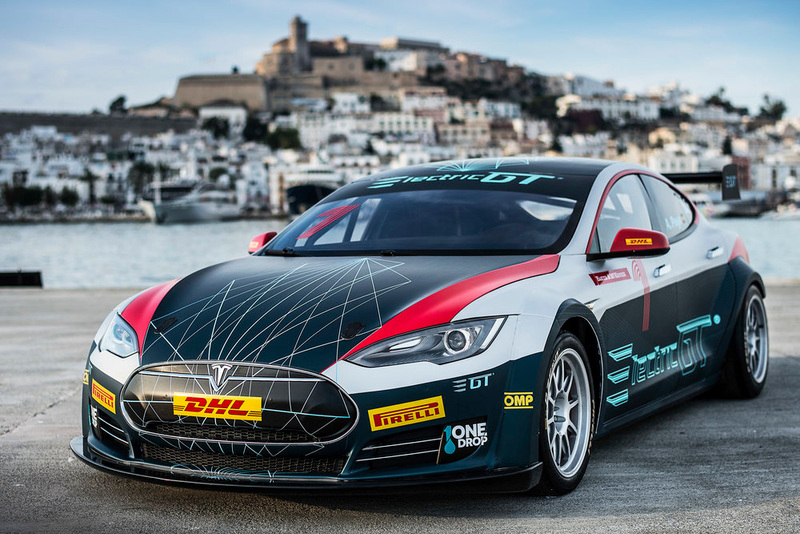 The EGT Championship aims to create a sustainable future to protect the next generation and will consist of 20 international drivers, both male and female, racing for 10 professional teams in identical Tesla Model S machines equipped with the latest OMP safety equipment and running on bespoke Pirelli PZero tyres. EGT will visit seven classic European circuits in its inaugural season, including Paul Ricard, Barcelona, Assen and the Nürburgring, before staging three non-championship races in the Americas. 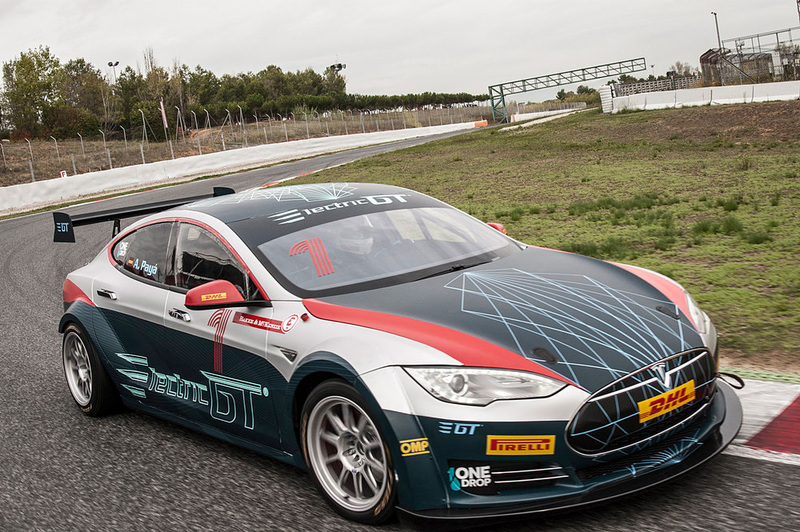 The championship was announced on 9 March 2016, with the Tesla Model S P100D chosen for the first season, which will get underway in 2017. Weekends will consist of a 20-minute practice session, 60-minute qualifying, a day race (60km) and a dusk race (60km). Each round will be a weekend-long festival of technology and innovation for sustainability, in and around the circuits. Fans will be able to stream races via Periscope, Twitch and YouTube, as well as interact directly with the teams using social media platforms.